The Prophet Muhammad (sal) and the other prophets we are discussing in this series were all sent to re-balance their communities, and hence our world. They are not just bringing a message; they are contravening this misbalance, ignorance, and savagery that exist in the world to this day, as we know. HIGHLIGHTS OF THE SPEECH ON THE PROPHET MUHAMMAD (sal) by Shaykh Ahmed Abdur Rashid. Links to full speech (pdf) below. Understanding the significance of the Nur-i-Muhammad is critical to understanding our life, our purpose, and our responsibilities. Indeed, it is critical to understanding Islam and the role of the Prophet Muhammad (sal) in both our individual lives and in the collective history of humanity. 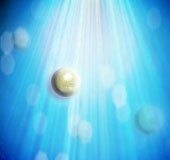 While many think they can understand or explain the Nur-i-Muhammad, there is a kind of mystical veil over this unique reality. When we begin to understand the meaning of this light, we can begin to understand why the Prophet Muhammad (sal) is the seal of the prophets, the first and the last, the bridge between all the previous traditions and all the future teachings. I would like to take some more time to tell you about the significance and traditions around the Nur-i-Muhammad. Unlike the life and physical presence of the Prophet (sal), which is no longer accessible to us, the Nur-i-Muhammad continues to emanate through our lives and our universes, and thus is accessible and relevant to us, here today, and every day, every moment. For Islamic scholars, this light is of more than a mere symbol. According to some accounts, when Allah created Adam, He placed on Adam’s forehead a pearl-like light, which shone like a sun in daytime and like a moon in nighttime. This light was passed on to his pregnant wife Hawa and then on to Seth. The father and the mother of Prophet Muhammad were the final link of the light, which had passed from a hundred people, fifty of whom were male, and the other fifty female. What is the nature of Allah’s Mercy? It has the same qualities of Nur-i-Muhammad. It is a light you can access, or not access, but is always there. It is the eternal light from which you can light endless candles. It never gets smaller or diminishes. The essence of Allah, just like the rays of the sun, borrows from the essence, or they borrow from the reality of the existence of the sun. You can follow the rays back to the source of light in the sky. In that same way, all mysticism, i.e. 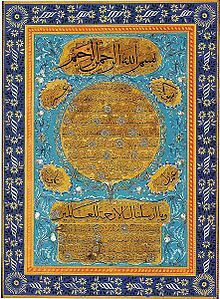 Tasawwuf, is a return to the treasure of the name ar-Rahmaan ar-Raheem, which is the beginning of light and which is the first name, the manifest name of the Prophet Muhammad’s light. The Prophet (sal) manifested the essential character (fitrah) of the human being. It is “the natural disposition or inborn, intuitive ability to discern between right and wrong, true and false, not to be influenced by circumstance, and [thus] to sense God’s existence and oneness.” (Asad 621) In so doing, he drew forth the essential character of the individuals who came into contact with him. Like a magnet, the fitrah in the light of the Prophet Muhammad is drawn out of us. Through his hubb, he evoked and continues to evoke the habbaa—the seeds of Allah —planted in us. Light is the essential reality of substance that we can identify with Allah. Outside of the attributes that we are familiar with in the calam al khalq is the light from the calam al amr. We would be very unaware of light, if it were light all the time. We need darkness to wake up to the light. This light is what distinguishes the true from the untrue, the real from the false, the good from the bad, the arrogant from the truly powerful. It is the substance of Divine truth. When we see it expressed, it is the creative power of that truth. We see expressed in the physical forms, and even in our human life. The suurah of light gives us one of the beautiful metaphors in Qur’an on the essence of the Nur-i-Muhammad. When this light starts shining upon the regions of the heart, the lamp of the heart gets lit. The light has a special effect. When it is lit, there are certain parts of the heart that provide spiritual desire to return to Allah, sayr ilaa-Llaah. Lighting these little fires or lights in the heart is like lighting the lamp in a niche. One touch of the awliyaa’ Allah, or wali, or shaykh can awaken the Nur-i-Muhammad in us. Basir an-nur means seeing with the inner light. In that light, one sees and understands and comprehends the spiritual essence, the spiritual meaning of things. One no longer understands just the outer meaning, but one also understands the inner meaning of things. What is and what has yet to become, becomes consciously distinguished. One becomes aware that they have attained a glimpse, a moment. We call it an An: a period of time with the Truth, al-Haqq. All of these names and attributes are moments. Light or illumination is both the means by which Allah communicates this knowledge, and is also the gift of His own essence. The bearer of news brings news, and IS the news. The messengers came, and they bore a message, but the Prophet Muhammad (sal), as the Nur-i-Muhammad, IS the message. The message and the messenger are one. We can love many things, but if we understand our self, we can understand the meaning of the light of Rasuulu-Llaah in our life. And we can understand the reality of that light, and begin to see that light everywhere. Then we begin to understand. That light will take the form of many things. But we will know that when it took the form of Rasuulu-Llaah, it became possible for the human being to take a journey outward and inward toward the Divine Light. From Him we came, and to Him we return, and in Him we live and die.